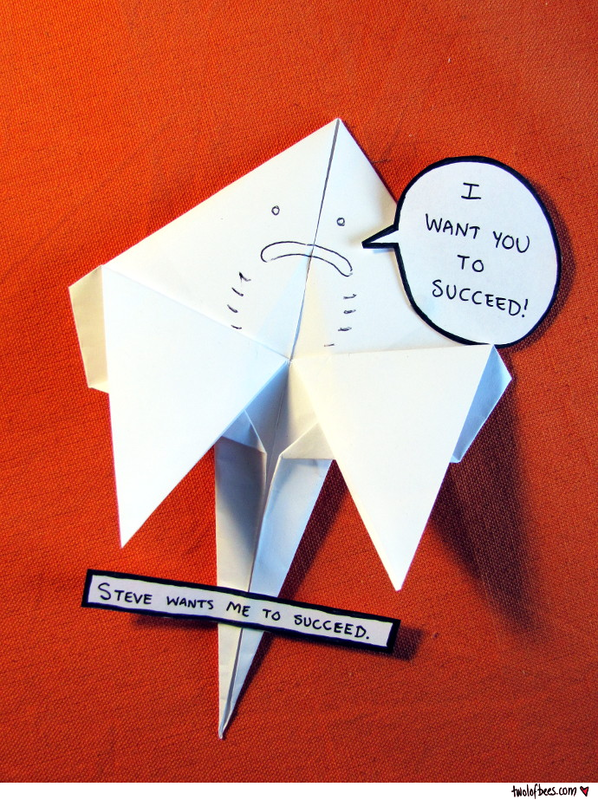 Made by Cheese, this is Steve*, the origami stingray - motivator and friend. He's currently trying to motivate me to write my thesis, but you can use him to provide motivation for whatever it is you're doing as well. Steve's good like that. *Incidentally, he isn't named after Steve Irwin. We only recently realised the connection and don't mean to cause any offense. There's a short but fairly uninteresting story about why we call stingrays 'Steves' and you can read it here, if that's what you're into.